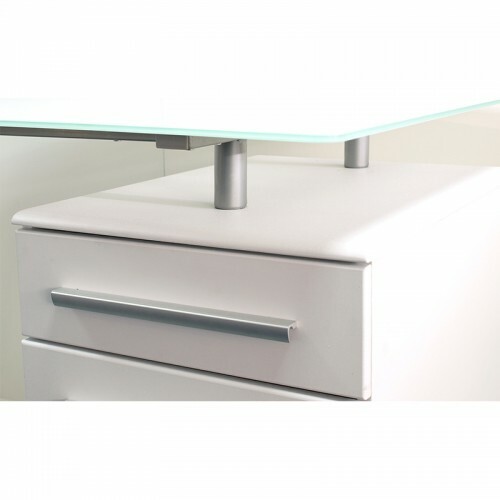 A stylish desk finished with a 8mm toughened frosted white, curved glass top. 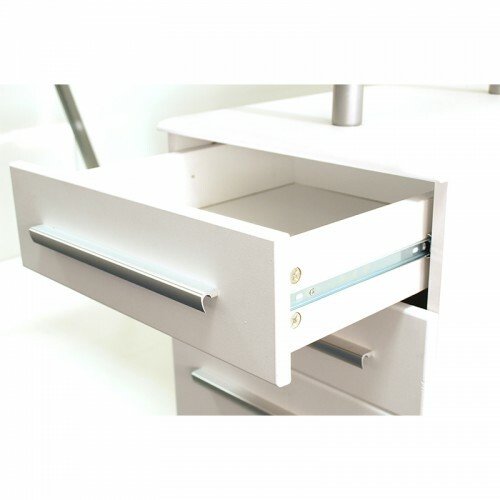 Featuring an integral pedestal finished in white PVC, which contains 2 stationery drawers and 1 filing drawer. 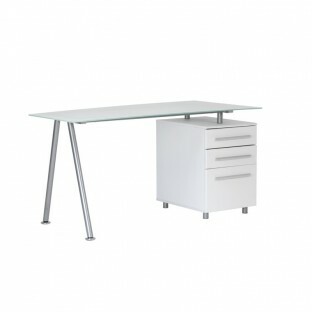 The satin angular legs create a floating illusion for the desktop, bringing an elegant feel to any home office.